Ion exchange (IX) and reverse osmosis (RO) can be used to solve some of the same separation needs, and are sometimes even used in combination with one another. Still, IX and RO differ in a number of ways that affect their overall suitability and cost-effectiveness for a specific process or application. The following article answers this question by comparing key attributes, benefits, and drawbacks of both IX and RO. How do IX and RO compare? While both are commonly used across a variety of industries, IX and RO are fundamentally different separation strategies. IX is a physical-chemical process that selectively removes contaminants from solution by effectively swapping out ions of similar electrical charges. In this way, IX targets specific substances for removal based on their ionic charges, while leaving desirable or innocuous minerals in solution. On the other hand, RO is a method of physical separation where pressure is applied to filter a liquid stream through a semipermeable membrane. With the finest pore sizes of any membrane filtration type, RO removes all contaminant ions or particles larger than water molecules, yielding a filtrate of consistently high purity. If present in a process stream, calcium and magnesium hardness can cause scaling on RO membranes as well as downstream equipment. In order to maximize efficiency and RO membrane service life, IX softening is often deployed to pretreat for hardness prior to passage through an RO system. While not always the most cost-effective choice, RO is also used for reduction of total dissolved solids (TDS), as its ability to produce consistently high-purity water makes it suitable for applications requiring high process water quality and low conductivity. 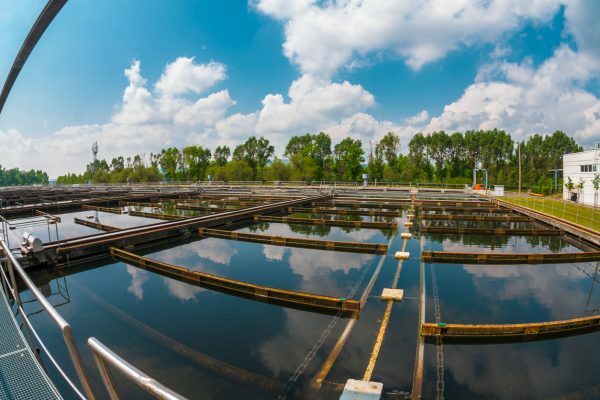 In water treatment, disinfection is the removal or deactivation of pathogens such as bacteria, viruses, and protozoa, as well as the pathogenic compounds they produce, such as pyrogens and algal toxins. IX is not effective for bacterial reduction purposes. What’s more, certain chemical disinfectants can degrade IX resins, so care must be taken to remove such materials upstream of any IX columns in order to prevent excess resin replacement costs. Because pathogens are comparatively larger in size than water molecules, RO is an effective means of bacterial reduction, and is used especially for applications requiring high purity water. Other types of membrane filtration, such as ultrafiltration, are also effective for reduction and are generally more cost-effective than RO. In some cases, physical separation is also followed with chemical or UV disinfection. RO separates contaminants on the basis of size exclusion, meaning that any particles or molecules too large to pass through the RO membrane’s pores build up on the retentate side of the membrane. For this reason, RO is capable of removing particulates and suspended solids, though it is generally not ideal for this purpose, as such materials can contribute to excess operational costs and shortened service life for RO membranes. IX is not capable of reliably removing particles and suspended solids, and such materials can cause clogging and inferior performance in IX resin beds. Generally, for streams containing suspended solids, it is advisable to include some form of filtration pretreatment upstream of IX and/or RO systems. 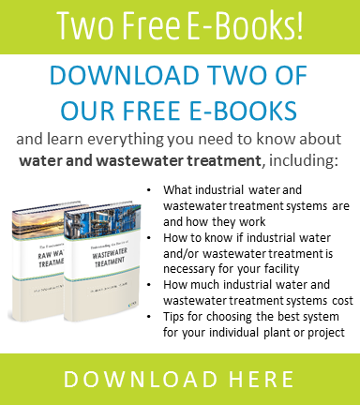 On average, IX produces as little as 2-4% wastewater, while RO rejects as much as 10-50% of the volume of treated water. Therefore, for areas with limited source water and/or high wastewater disposal costs, IX is often a more cost-effective choice than RO, though technology such as SAMCO’s High Efficiency Reverse Osmosis (HERO) system is capable of delivering high quality RO water with up to 95% recovery. IX and RO share in their need for periodic replacement of operational components. While the service life of each can depend on a number of process factors, IX resins must be replaced every 4-10 years while RO membranes last for 3-5 years, on average. In general, scaling and clogging compromise service life in both IX resins and RO membranes. Fortunately, both issues can be prevented through proper pretreatment measures, which can include upstream coagulation, filtration of suspended solids, application of anti-scalant chemicals, and/or softening.